From Left to Right: Rev. Dr. C. Vernon Mason (Visiting Professor of Urban Ministry & African-American History and Religion, NYTS), Dr. Courtney Wiley-Harris (Vice President for Development and Institutional Advancement, NYTS), Rev. Dr. Johnny Ray Youngblood (Executive Pastor and Spiritual Engineer, Mt. Pisgah Baptist Church) , Rev. Dr. Dale Irvin (President and Professor of World Christianity, NYTS) and Rev. 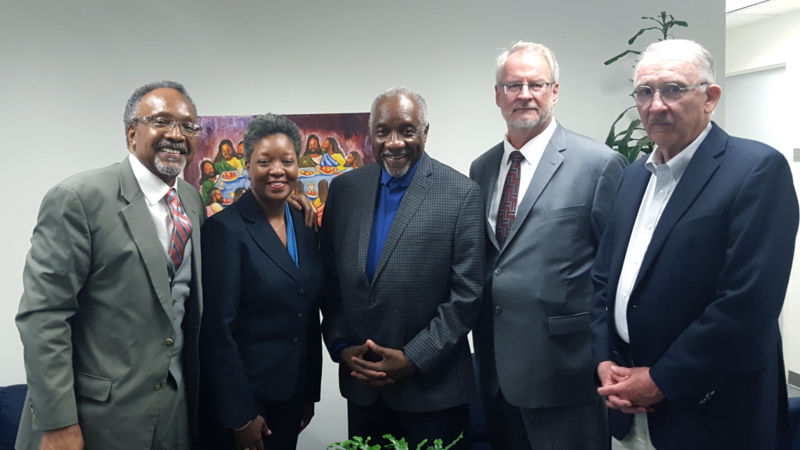 Dr. Keith Russell (Distinguished Senior Professor of Ministry Studies- Interim Director of the Doctor of Ministry Program, NYTS) gather to celebrate the launch of the Rev. Adam Clayton Powell, Jr., Scholars Program. Download this announcement as a PDF HERE. New York Theological Seminary is launching the Rev. Adam Clayton Powell, Jr. Scholars Program in the Spring of 2019. The program has received an initial gift of $500,000 from Mount Pisgah Baptist Church and Reverend Dr. Johnny Ray Youngblood, Senior Pastor of Mount Pisgah Baptist Church in Brooklyn, NY. The program will include scholarship support for both a Doctor of Ministry (DMin) track and a Certificate Program in Ministry and Leadership (CP) that Dr. Youngblood will also lead. The late Rev. 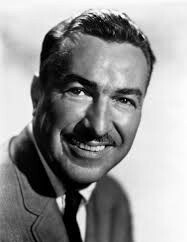 Adam Clayton Powell, Jr., who served as Senior Pastor of the Abyssinian Baptist Church in Harlem from 1937 to 1972 and in the US House of Representatives from 1941 to 1971, was one of the most influential Civil Rights legislators in the 20th century. Participants who are admitted into either the DMin or the CP programs will be designated Powell Fellows and will receive substantial scholarship support during their matriculation at NYTS. Dr. Johnny Ray Youngblood is the Executive Pastor and Spiritual Engineer of Mt. Pisgah Baptist Church, where he has served since 2002. Prior to coming to Mt. Pisgah, he was Senior Pastor of St. Paul Community Baptist Church in Brooklyn (1974-2009). His accomplishments at St. Paul include spearheading The East Brooklyn Congregations (EBC) in the development and building of over 3,900 houses known as the Nehemiah Homes Project, the production of The MAAFA, an annual commemoration depicting the heinous history and ramifications of the Trans-Atlantic Slave Trade. Many of the accomplishments of Dr. Youngblood over his first two decades at St. Paul were chronicled in 1994 in Samuel Gary Freedman’s award-winning book Upon This Rock: The Miracles of a Black Church. A native of New Orleans, Dr. Youngblood is a graduate of Dillard University (BA), Colgate Rochester Crozer Divinity School (MDiv), and United Theological Seminary (DMin). He has received honorary degrees from Boston University and Virginia Seminary. He is often described as a consummate pastor, teacher, organizer, leader, artist and prophet with a commitment to challenging traditional ways of being the church and empowering oppressed people to achieve the impossible. Founded in 1901 and known in its early years as The Biblical Seminary in New York, NYTS focuses on preparing leaders who are serving diverse faith and community-based entities in the urban context. Through both degree and non-degree programs the Seminary seeks to promote prophetic engagement for transformation. The Doctor of Ministry is a three-year professional terminal degree. Classes meet for three one-week intensive sessions in the first year, and one more intensive week-long session in the first semester of the second year. Candidates continue to initiate a Demonstration Project throughout their second year and spend the third year completing their written Thesis. The first cohort that Dr. Youngblood will lead is scheduled to begin in February 2019. Thereafter new first-year cohorts are expected to continue to form annually. The Certificate in Ministry is a two-year, non-accredited, program training leaders for service in faith and community-based entities. Classes meet during evening hours and/or on Saturdays over the course of four semesters (2 years). The program is conducted at a college level and is recognized for credit by several partnering undergraduate schools. For more information or to apply to become a Powell Fellow in either the DMin or CP programs, contact Dr. Adriane Hill, the NYTS Director of Vocational Discernment, by phone at 212-870-1212 or by email at ahill@nyts.edu. NYTS is raising funds to match the initial $500k gift to the Rev. Adam Clayton Powell Jr. Scholars Program. To donate to that effort, please click HERE and select “The Rev. Adam Clayton Powell Jr. Scholars Program” in the menu that says “Select a designation.” This campaign will end on Thursday, November 29, 2018, on Rev. Powell’s birthday.